Night falls on Lustria. As you stand on the dock and peer seawards through the gathering mists, strain your ears. The jungle sounds behind you fade, and in their place comes a wet thudding, as of rotten rigging against a mouldy mast. The sound multiplies, and with it the groan of a thousand breathless voices, joined in something part-shanty, part-dirge. Dread prows pierce the gloom ahead, and the ghastly truth is laid bare: upon the ghoul-winds come the swollen hulks and decaying vessels of the Vampire Coast! Run now – run hard and fast, for it is all you can do. It was the undying lord Luthor Harkon that laid claim to this stretch of Lustria’s east coast. Ever since, it has been a domain where the dead stir, leading expeditions into the jungle interior or setting sail across the Great Ocean to commit wanton acts of piracy. But the insane Arch-Commodore Harkon is not the only unliving admiral who takes to the seas with pistol-armed crews of zombies, vampiric depth guard, syreens, and mournguls… there are other pirate lords who command dreadfleets of their own, packed to the gunwales with crews press-ganged into eternal service. What’s the release date for Curse of the Vampire Coast and is there a pre-order incentive? It will be released on November 8th 2018 and you can get a 10% discount if you pre-order on Steam. Who are the four Legendary Lords? Luthor Harkon is the first Legendary Lord to be revealed but rest assured, full maleficent detail of the remaining three Legendary Lords of the Vampire Coast will be revealed in due course. Will the Legendary Lords fight for the Vortex? Does this mean you’re introducing naval battles? No, we don’t currently have any plans to build a system that adds full naval battles to the game. This would be a vast undertaking and certainly beyond the scope of a DLC pack. 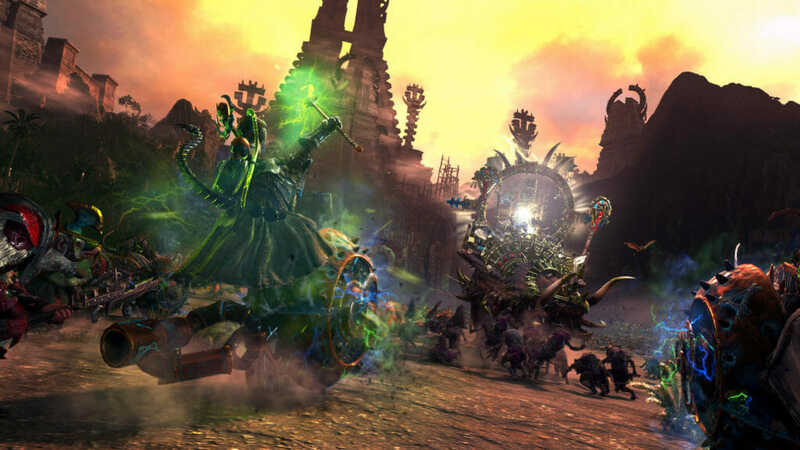 We do however have two new battle types which will be added to Total War: WARHAMMER II as part of the free update, which bring you an active alternative to auto-resolving naval encounters: Island battles and Black Ark battles. When two armies meet in battle at sea, you can choose to autoresolve as usual, or fight the battle. If you choose the latter, all belligerents will disembark from their ships and fight on a nearby island. This means that your armies will be able to fight with their full land-based battle capabilities, and under your full control. To support this, we’ve created a series of island maps with their own geographical idiosyncrasies, broadening the gamut of battle types in the game and, of course, providing a platform to let armies at sea fight with all the bonuses you’ve designed into them. The same is true of Black Arks. When attacking – or defending – a Black Ark at sea, a land battle will be fought on the vast rocky slopes and ledges of the Black Ark itself, surrounding by towering Dark Elf architecture. These battle types may sound familiar to the modding community. Last week, we were somewhat surprised (and more than a little impressed) to see a new mod, made by Maruka and Marthenil, had been released which also adds a variant of these battle types to the game. We will continue to work closely with modders and do our best to ensure that we avoid overlapping with them as much as we feasibly can. Will there be any Free-LC released alongside Curse of the Vampire Coast? 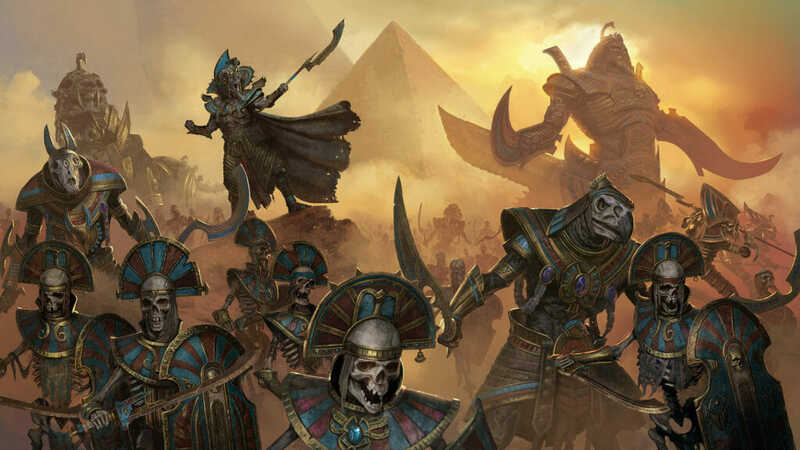 Additionally, we’ll also be releasing a major update to the Vampire Counts factions in Mortal Empires, empowering them with new mechanics and revised skills and abilities. And last but not least, there will be a Free-LC release alongside, a magnificent new Legendary Lord for use in Eye of the Vortex and Mortal Empires. More news soon. There seems to be a lot of new content for Vampire Coast – how did all this come about? We’ve been fascinated with the Vampire Coast ever since our research into Lustria for the Eye of the Vortex campaign which included reading through old Warhammer Chronicles books and White Dwarfs. 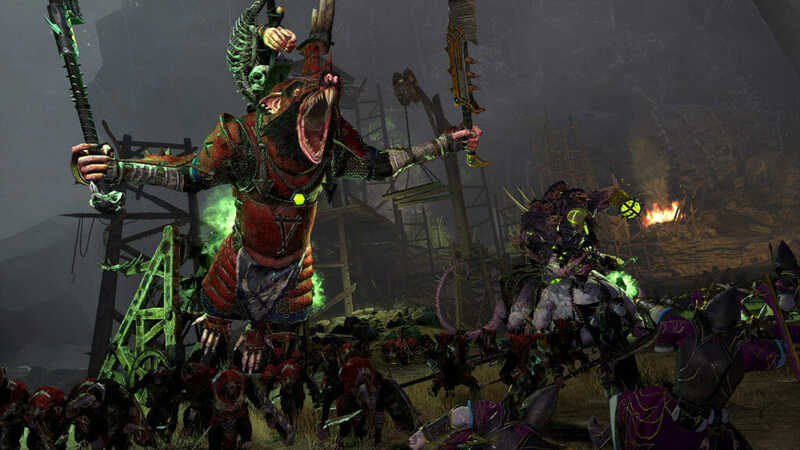 As with all the Races from the Warhammer Fantasy Battles world that we translate into digital form for Total War: WARHAMMER, we start off by constructing what the unit roster should look like and how they will play differently to others in the game. For this we used those original references, along with some exciting creatures and characters from the Monstrous Arcanum book and Dreadfleet game, to create the core building blocks. Working closely with Games Workshop, we fleshed out the roster to include a host of ghoulish creatures and monsters that we would be reanimating from the depths of the Warhammer Fantasy seas. We also took a similar approach with designing the campaign mechanics for the race, leaning on the resource material that we had and taking inspiration from other Warhammer army books, Dreadfleet and novels which spoke about the nautical elements of the Warhammer Fantasy Battles world. We were of course inspired by the real-world history of piracy too, dipping into its themes throughout the campaign when developing the nautical features and content, but always dialling it up, adapting it and making sure to remain true to the lore and the Vampire Coasts vampiric undead origins. Will Curse of the Vampire Coast be released on macOS and Linux? 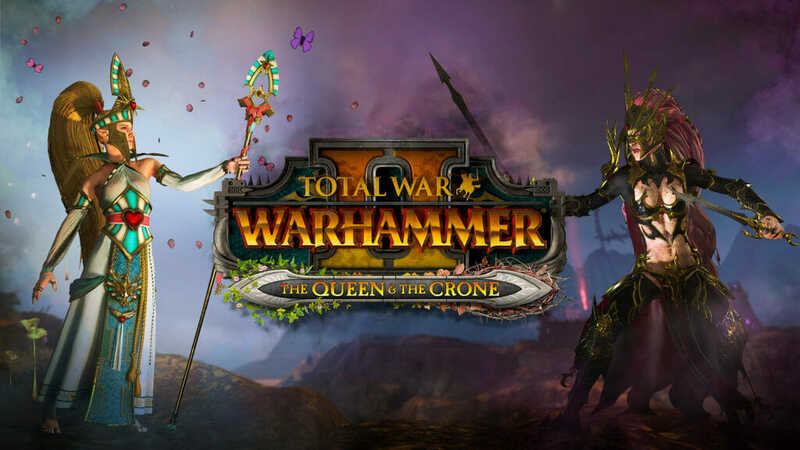 Not on release day but it will follow shortly after the Feral release of Total War: WARHAMMER II on macOS and Linux.